It is Cat Bells – but not from the usual angle. 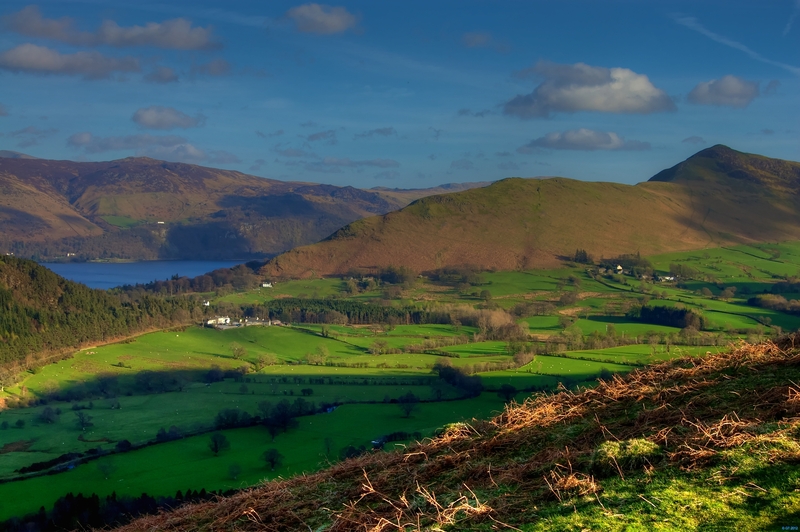 This taken from the descent down from Barrow to Braithwaite, and here you are seeing the ‘other’ side of Cat Bells – which is normally photographed from the Derwent Water side. After a long days walk, on a late afternoon of a pretty much perfect day, Derwent Water is seen in the gap between Swinside (left) and Cat Bells (right). It doesn’t get much better than this.